Share your thoughts about what is important to you and your community’s health. A light dinner and child care will be provided. Adult participants will receive a $10 Roche Brothers gift card as our thanks. Registration is required. RSVP to Alyssa Kence (akence@bidneedham.org or 781-453-5460). Pain is our bodies’ way of alerting us that something is wrong. But with today’s active lifestyles, no one wants to restrict their activities due to pain. If joint pain is slowing you down or keeping you from your favorite activities, please join Dr. Jacob Drew for an interactive discussion on joint pain. Dr. Drew will discuss the causes of joint pain, possible reasons why joint pain occurs, and options for treatment, including exercise, stretching, medication and surgical options. Please wear comfortable clothing as some light stretching and exercise demonstration will be involved. We hope that you can join us for the second event in the three-part JCC Wellness Series. 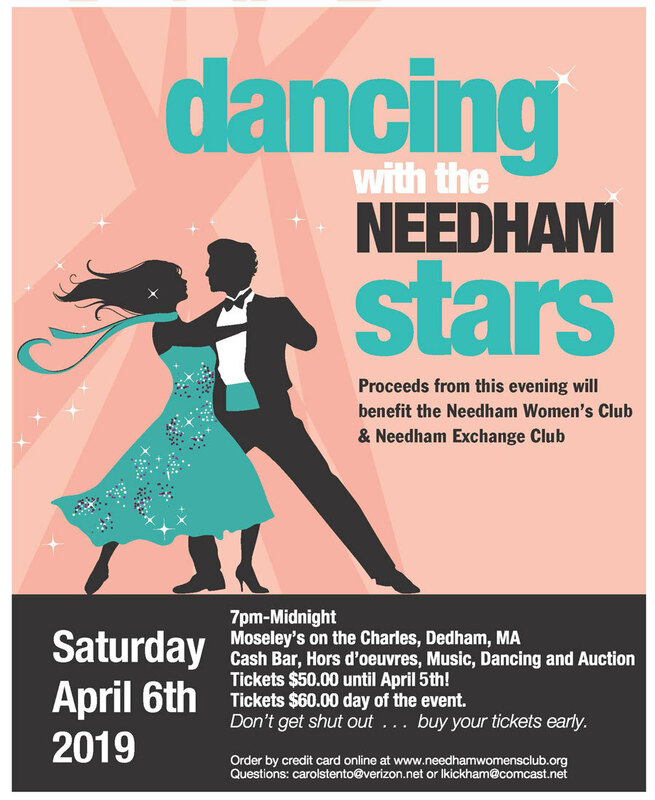 BID-Needham is a proud sponsor of Needham's annual "Dancing with the Needham Stars," in support of the Needham Women's Club & Needham Exchange Club. In addition to being a sponsor of the event, the hospital will be represented in several ways. Bob Ernst and Sylvia Dandrata have been selected to represent the hospital as dancers. In addition, last year's dancers will perform as part of an alumni dance routine, including three individuals with BID-Needham ties: Samantha Sherman, chief development and external relations officer at BID–Needham; Michael Lombard, former chair of the board of advisors; and the 2017 crowned champions, Board of Trustees member Barry Coffman, who danced with his wife, Linda. BID-Needham is a proud sponsor of the Family Promise MetroWest Walk to End Homelessness, and provides first aid for this walk. Grab your sneakers, strollers, and leashes and help us raise funds to end family homelessness in our Metrowest community. Join us at our new starting location at Natick High School (15 West Street), with ample parking and lots of room for vendors, photos, music, food, and fun. And come meet LBF of the Loren and Wally Show and the Street Gang from 105.7 WROR, our media sponsor. Registration begins at 8:00 am; the walk starts at 8:50 am. Open to walkers of all ages! Proceeds from the walk support programing for families facing homelessness. Registration opens January 2019. This promises to be our best walk yet!